Those students who are thinking to appear for the NEET 2018 Exam should know few preliminary facts about the exam. NEET is the only getaway for the admission of candidates in the undergraduate courses of MBBS and BDS of any medical colleges of India. If this single stroke decision of the Supreme Court has increased the number of seats for the students then it has also increased the level of toughness of this exam. You should read the syllabus exhaustively and it should be the latest syllabus. Besides identifying the weak and strong areas in the syllabus you should also mark the interrelated topics. It would be good for you to read the interrelated topics simultaneously as it will shorten the time period of preparation and would leave ample room for you to revise. Set a timetable for study. Divide your time of study equally between Biology, Physics and Chemistry. Solve practice sets and sample papers frequently. 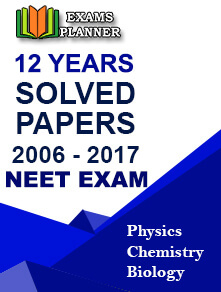 You should also try to solve previous year question papers for the exam. Follow these tips and make a flexible time-table for your NEET 2018 Preparations. Make sure you take breaks between the study sessions. You can also opt for a hobby to help you stay relaxed. ALSO READ - How To Prepare For NEET Exam In 6 Months? Sunita is a writer, blogger, and researcher with special interest in the medical field. She has been covering the competitive examinations conducted at the national level for admission to medical and dental courses for the last 5 years. NEET UG, NEET PG, AIIMS MBBS, Nursing are some of the exams extensively covered by the writer. She writes on all the related topics such as application process, exam pattern, syllabus, admit, card, result, and counselling details. Really nice tips . appreciate it. How To Prepare For NEET Exam In 6 Months? How to Fill NEET 2020 Application Form? Shivani Chetri on How To Prepare For NEET Exam In 6 Months? Comprehensive details about NTA NEET 2020 exam – official notification, important updates, study material, success tips and admission process of MBBS and BDS courses. © 2019 NEET 2020 Entrance Exam. All rights reserved.